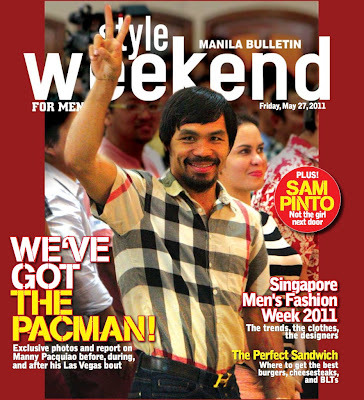 please buy manila bulletin today (may 27) for your free copy of style weekend for men (out every last friday of the month)! 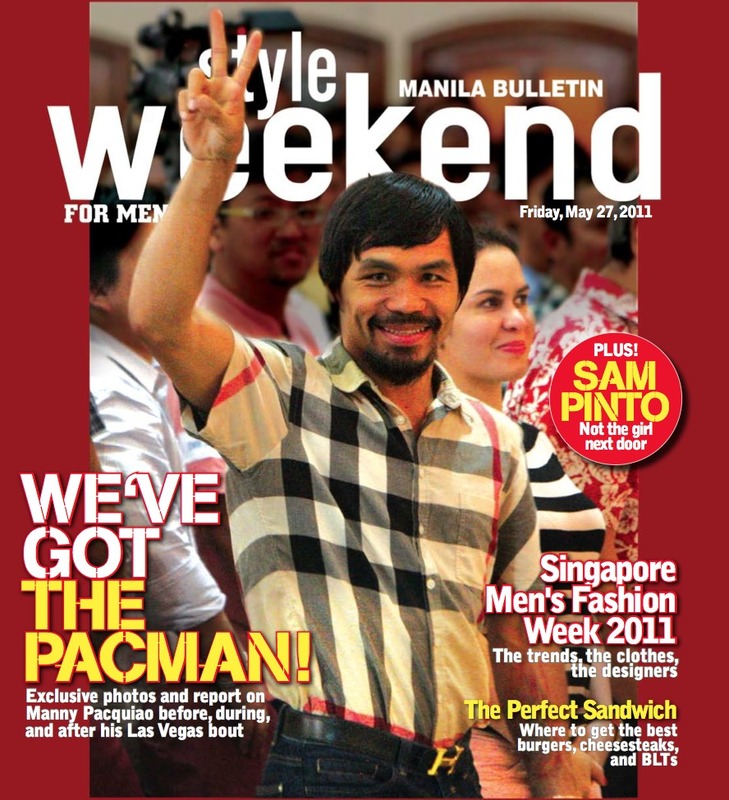 on the cover: we've got the pacman! RH bill controversy aside, we've got an exclusive blow-by-blow (pardon the pun) report and photos of the days leading up to his fight with mosley, written and shot by manny pacquiao's good friend lounell correa. also in this issue: runway trends from singapore men's fashion week by garage EIC rey ilagan, the technoodling.net guys give an early father's day gadget gift guide, all about X-men: first class, profile on the script, where to get hearty sandwiches, and hot girl sam pinto. this issue is a winner!